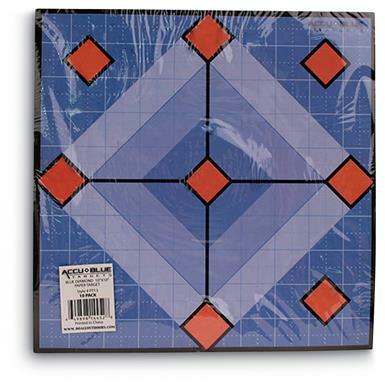 Do-All Outdoors Accu Blue Diamond Paper Shooting Targets, 100 Pack Paper Shooting Targets, 10" x 10"
Become a better shot by taking aim at these Accu Blue Diamond 10 x 10" Paper Targets. 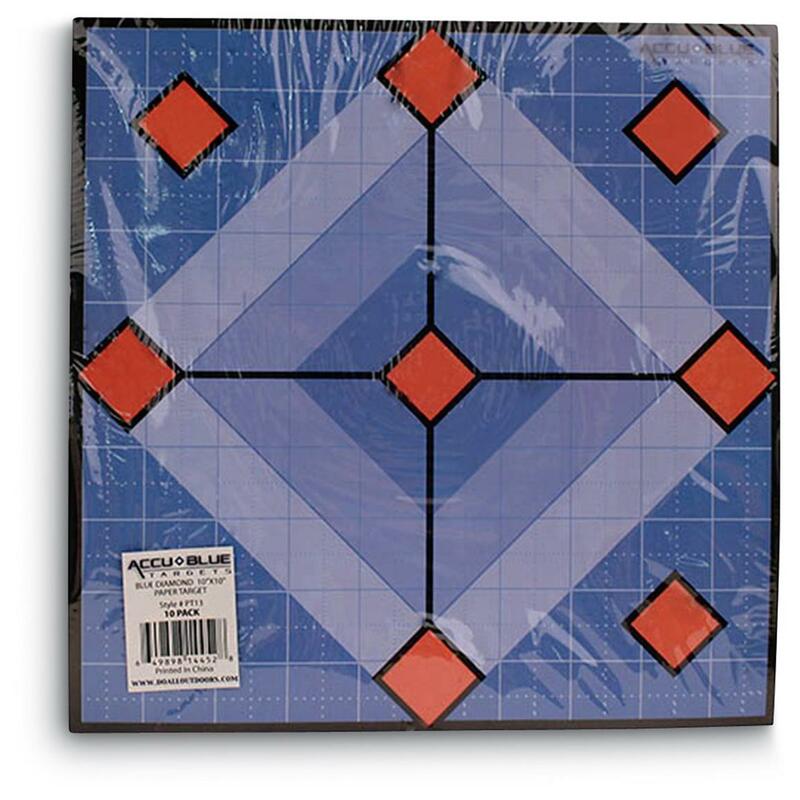 Simple and effective, these Targets provide multiple aiming points so you can get the maximum use out of each. You get 10 pks., each with 10 targets, for a total of 100 targets.